PAT PILCHER ends up rolling with laughter at the Sphero Mini robot’s antics. Rolling stones gather no moss, and so it is with toy robotics company, Sphero. They’ve launched a bunch of cool gadgety toys this year in collaborations with Disney for films including Star Wars, Spider-Man: Homecoming and Cars. 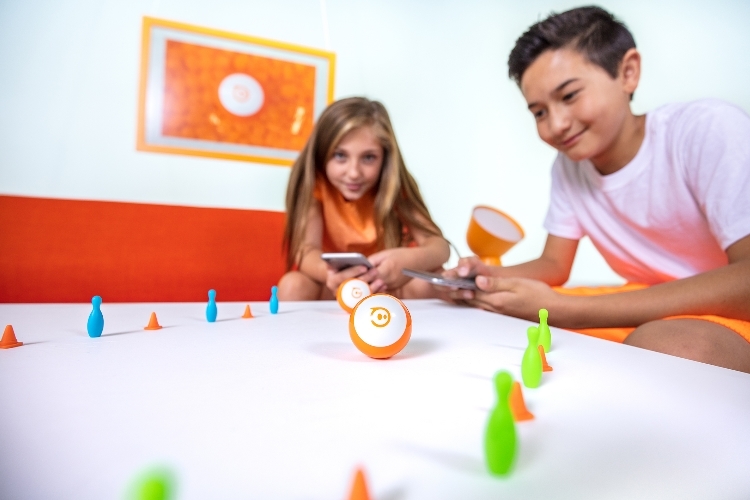 Now in a nod back to their roots, Sphero have launched a mini-version of their first app-controlled robot. As the name suggests it is smaller, at about the size a golf ball. Being smaller also means that some limitations do apply. For a start, it isn’t waterproof. Its connection to your phone also tops out at 10 meters. These aside, it is loads of fun to drive and it is still plenty zippy. Based on overseas pricing, Sphero Mini will also be more affordable, at around half the cost of the Sphero SPRK+. Smaller doesn’t seem to translate into less run time. I got over 45 minutes out of the Mini before it conked out. Charge time is close to an hour. Unlike its full-sized sibling, Sphero Mini doesn’t sit on an inductive charger to juice up. Instead, its hard-plastic sphere case pops open and you plug in a micro-USB cable. The Sphero app deserves special mention. Aside from Orientate and Drive modes, it also lets you use the Sphero Mini as a slingshot. This allows you to aim at objects such as the small road-cones bundled in the box. There’s also a bunch of mini games which use the gyro in the Sphero Mini as a controller. The coolest trick of all though is Face Control, which lets you drive Sphero Mini using facial expressions. It took a bit of getting used to but is a lots of fun. I crashed the Sphero Mini owing to laughter, as it rolled around my kitchen at speed in tune with my facial expressions. This happened more than once, too. As it rolled around the house my two greyhounds were most intrigued. Because of this, a warning should apply. With it being about the size of a ping-pong ball, it is almost the exact size for an over-excited dog to choke on. If you own pets, please take care. 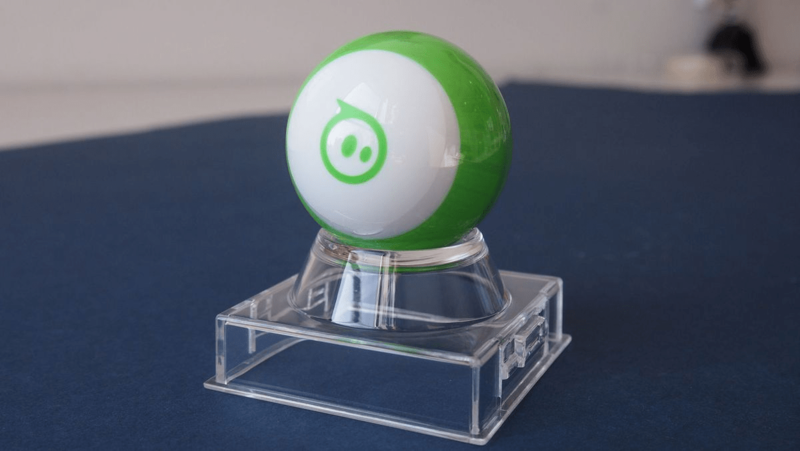 Given its anticipated hot sticker price (and sheer fun), the Sphero Mini could be a runaway (rollaway?) hit this summer. The Sphero team say they’re going to be launching a bunch of accessories for it soon. I’m hoping one of them will be a golfball skin. 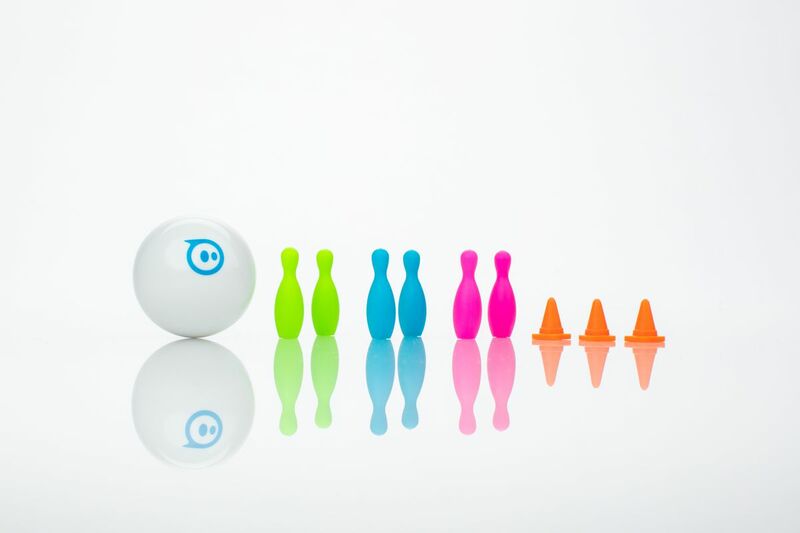 The Sphero Mini Looks perfect for putting green pranks for kidults of all ages.